Home > Mutual Funds - Alerts > Mutual fund : What is FATCA ? Mutual fund : What is FATCA in MFs? If you are a mutual fund investor, you must be getting messages from your distributor or fund house, requesting you to be FATCA compliant before the deadline of April 30, 2017. FATCA, or the Foreign Account Tax Compliance Act, is a US tax initiative that requires all financial institutions, including Indian mutual funds, to re port financial transactions of US persons, or entities in which US persons hold a substantial ownership, to relevant tax authorities. 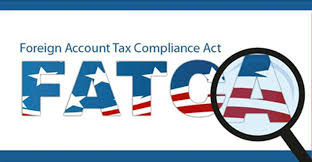 The purpose of FATCA is to encourage better tax compliance by preventing US citizens from using financial institutions outside their home country to avoid domestic taxation laws. 2. What do mutual fund investors have to do? All individuals and entities who have opened mutual fund folios between July 1, 2014 and August 31, 2015, need to submit the FATCA self-certifications by April 30, 2017. In case self-certifications are not submitted, such folios should prohibit the unit holder from effecting any further transactions. Investors can update details online through websites of CAMS, Karvy , Sundaram Fund Services and Franklin Templeton, which act as registrars for mutual fund houses. While many individuals are already compliant, it is possible that some information has not been fully captured or investors have missed something. Hence, investors check to confirm if they are FATCA-compliant. 3. Why is this law applicable to mutual fund investments? The government of India and the US have reached an agreement on the terms of an Inter-Governmental Agreement (IGA) to imple ment FATCA and India is now treated as having an IGA in effect from April 11, 2014. Indian mutual funds are required to share financial accountasset informa tion of account holders who are US tax residents. Towards compliance with FATCA, mutual funds are required to seek additional personal, tax and beneficial owner information and cer tain certifications and doc uments from unit holders. 4. Do all investors have to do this? All investors, including NRIs, have to provide information for FATCA. 5. What information does an investor need to provide? Investors are expected to pro vide details such as country of tax residence, tax identification number from that country , country of birth, country of citizenship, etc at the time of initial investment or opening the folio. In case of non-individual investors, the above mentioned information of any of the controlling persons will have to be submitted. If you have been paying taxes in any country apart from India, you need to provide the tax identification number or any such number equivalent to the PAN here.